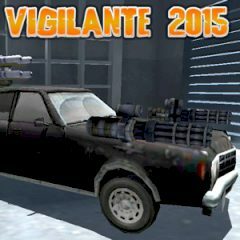 Drive your cool car and try to kill all the enemies. Shoot using F and drive using the arrow keys. Be sure that you can do this. Watch out! They are already here, just throw all the problems away and you will do it! Explore this exciting area. Are you a good driver? Then show us all your skills and explore this strange desert and you will cope with it! Fighter driving a car through a dangerous desert plagued armored vehicles to the teeth. Destroy your enemies and get out unhurt from the harsh attack your opponents. Could you believe that? Then just use F to shoot and kill all the enemies as soon as possible! Is everything clear? Then do not waste your time and sink into the crazy world of cars and real speed! So, be ready for that and have much fun!